Cumberland Camp, Striker & GK camp. LFC Coaches from our world famous Academy in England will be joining us for a great week and educating players to play the Liverpool Way. This year, the LFC Staff will select an appropriately aged player from our camp who will get the chance to show off their skills in front of the academy coaches at a LFC Residential ID Camp in Liverpool, England! Who: Boys and Girls aged 6-18 year olds. Early Bird Discount: $25 Off Before March 1st. Space is limited to ensure that each player receives the attention and instruction they deserve. Due to the popularity of the camp last year, we advise you to sign up quickly to avoid disappointment! Early Bird Discount: $40 Off Before March 1st. Who: Boys and Girls aged 9-15 year olds. 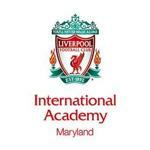 The Liverpool FC Academy has set a benchmark for the development of young players both on and off the pitch. We wholeheartedly believe that the overall development of young people can be further enhanced by spending time with our coaches on our programs. Participants will be inspired by a sense of enjoyment, teamwork and respect for other children in an environment that has nurtured famous players such as Steven Gerrard and Jamie Carragher. Both went on to not only be LFC first team regulars but also role models to millions around the world. Education in all areas of the game is provided through various program types and up to 100 children can attend per course. Each player will be coached in a variety of technical skills such as passing, receiving, dribbling, running with the ball and shooting in a way that recognizes the ability and needs of each individual. Every child will take home a certificate of attendance signed by Ian Rush.